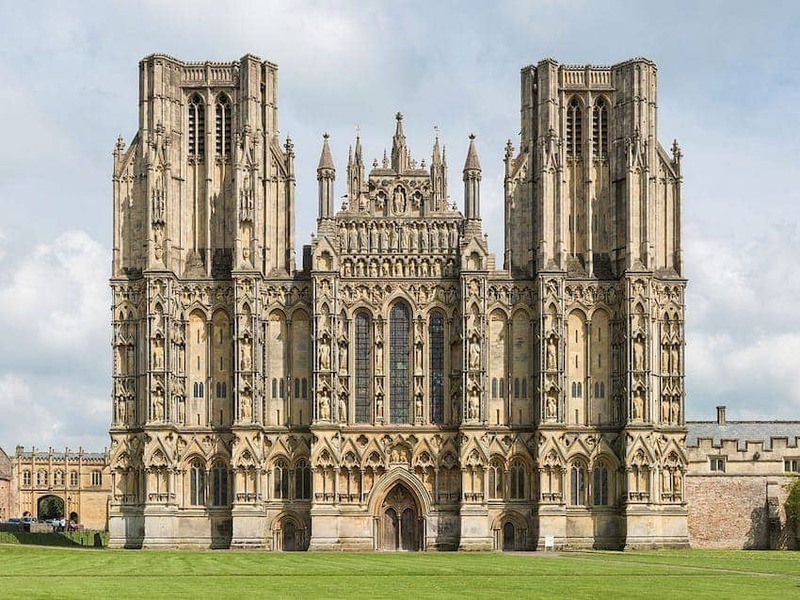 Wells Cathedral in Somerset was built between 1175 and 1490, and has been described as 'the most poetic of the English Cathedrals'. It has some unique features that distinguish it from other English cathedrals such as inverted arches, called 'scissor arches', supporting the central tower. This structure was added in 1338 after the weight of a new spire threatened to collapse the whole tower. Wells Cathedral also has one of the largest collections of historic stained glass in the country. The Jesse Window is one of the best examples of 14th century stained glass in Europe.